Above, NBC's "Top of the Hour ID" from 1979 featured the famous 3-Chimes and somewhat infamous red-and-blue "N." The 3-Chimes date back to NBC Radio; while the "N" logo arrived with the network's 50th anniversary in 1976. 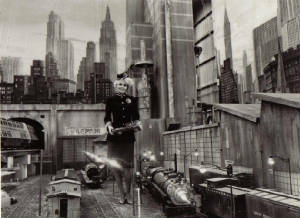 This site is devoted to what may be NBC's, if not network television's, most infamous television program, "Supertrain." 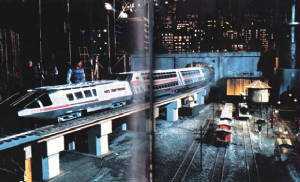 Here you'll find information regarding the show's episodes, the train models, and links related to "Supertrain" on the web. 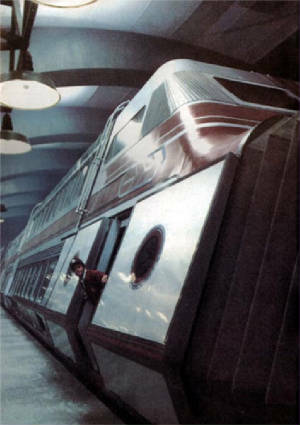 Enjoying a brief six month run on NBC-TV, "Supertrain" has been noted as one of television's biggest disasters of all-time. 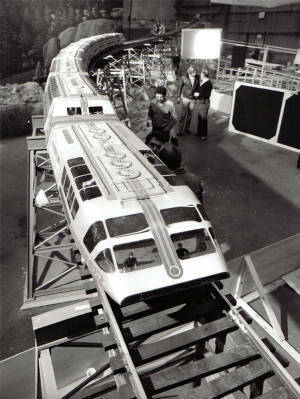 "Supertrain" was reportedly rushed into production, cost the network a fortune, and failed miserably in the ratings. This site details the ten hours of "Supertrain." From its pilot movie through its final episode. Through its short life, "Supertrain" was much very a work-in-progress that was never completed to the apparent satisfaction of either NBC or the viewing public. 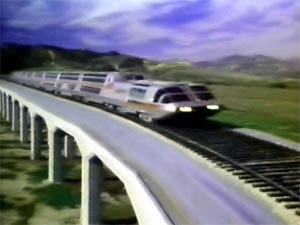 For a show with only nine episodes, "Supertrain" has three different opening credit sequences and its regular cast went through major changes midway through the short-lived production. Your generous support helps make this web site available. If you've enjoyed your visit to the Supertrain site, please consider making a donation. Your support is greatly appreciated! Thanks!